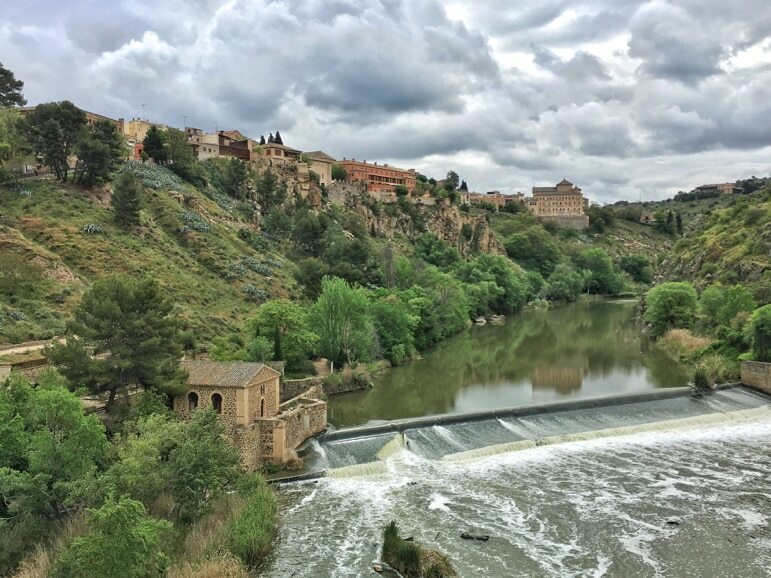 As little as half an hour away by train, Toledo makes a great day trip from Madrid. But this city is far too elegant for a one-day stand – its cobbled streets unravelling its story. And with many fascinating things to do in Toledo, it makes the city well worth a longer stay. 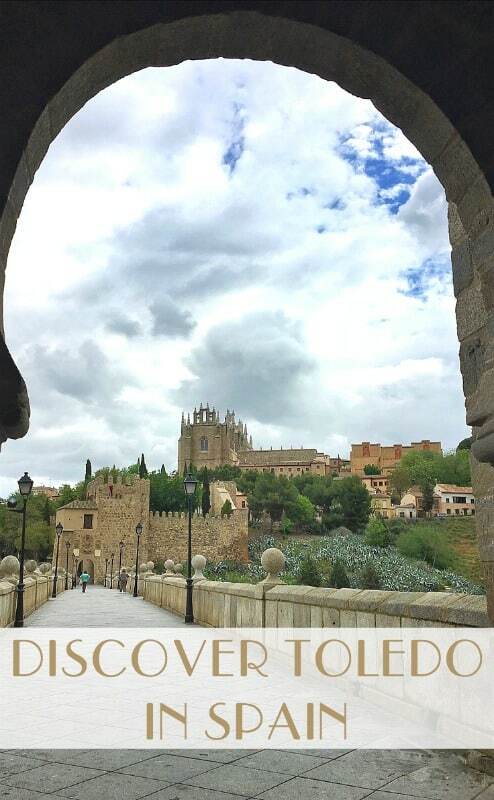 Toledo is rarely the first city people think of when they consider a trip to Spain. It may not even feature in the top 20 cities that you’d think about. 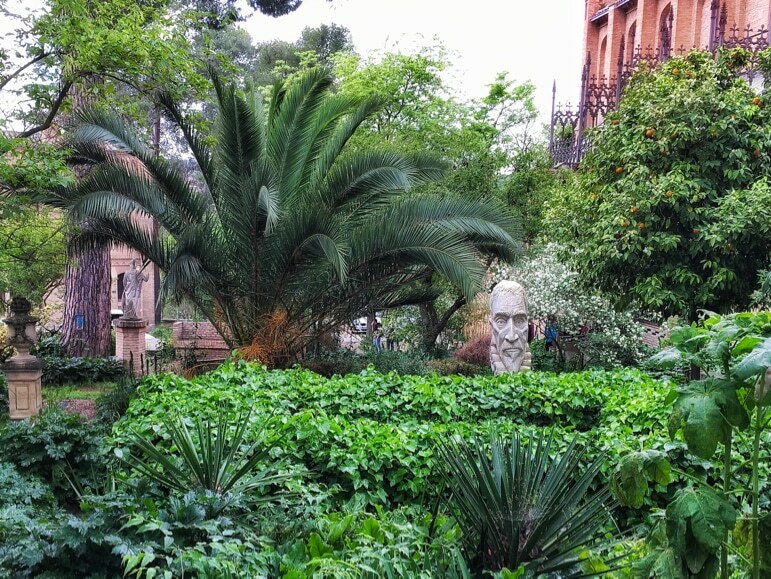 But then, there are so many exciting city break destinations in Spain. And many cities that are better known that Toledo. But consider it you should. Toledo is a city of history, of wonderful views and of epicurean pleasures – it’s Spain’s Capital of Gastronomy this year. It gives sightseers a grand welcome from the ring road – the TO-3100 – that encircles it just a short distance from the motorway to Madrid. 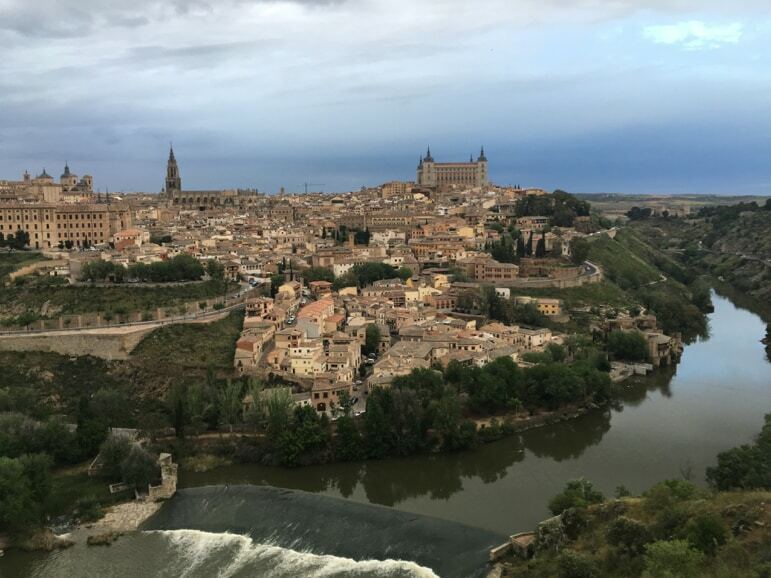 Curling around the bends of the Tajo River – the longest in Spain – Toledo makes for a triumphant arrival. You’re greeted with the mediaeval city on its granite hillside, wending its way up from the water. It’s this view that contributed to Toledo becoming a UNESCO World Heritage City. 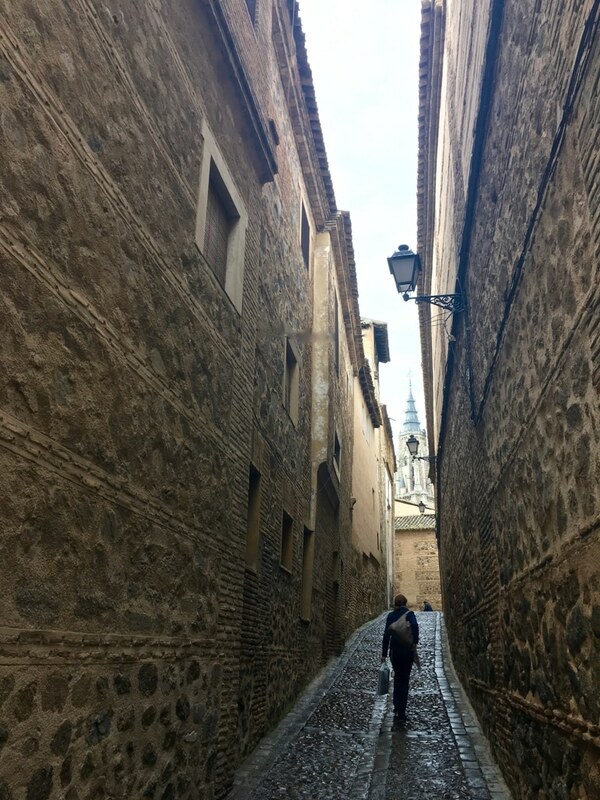 But as much as I adored the view of the city from outside its historic heart, it’s inside the old town that Toledo reveals its magic. Toledo is worthy of so much more than a day trip from Madrid. Stay at a Toledo hotel for a few days and you’ll unearth a city founded on the culture and beliefs of the many groups of people who settled there over the centuries. But this grand dame of Spain was at its most prominent in the 16th century when it became the country’s capital. For 20 years it was the seat of government, that is until 1561 when Spain’s rulers felt Madrid would be a better place to build a well laid out capital with gardens and squares for promenading. It seems they’d had enough of Toledo’s contours. And boy, does it have contours! It’s an up and down town made for urban goats – if such an animal exists. But its streets have will hold your interest from the bottom up. Toledo has a rare history of diversity and tolerance. It is known as the City of the Three Cultures, due to the co-existence of Christians, Muslims and Jews that lived side by side for hundreds of years. 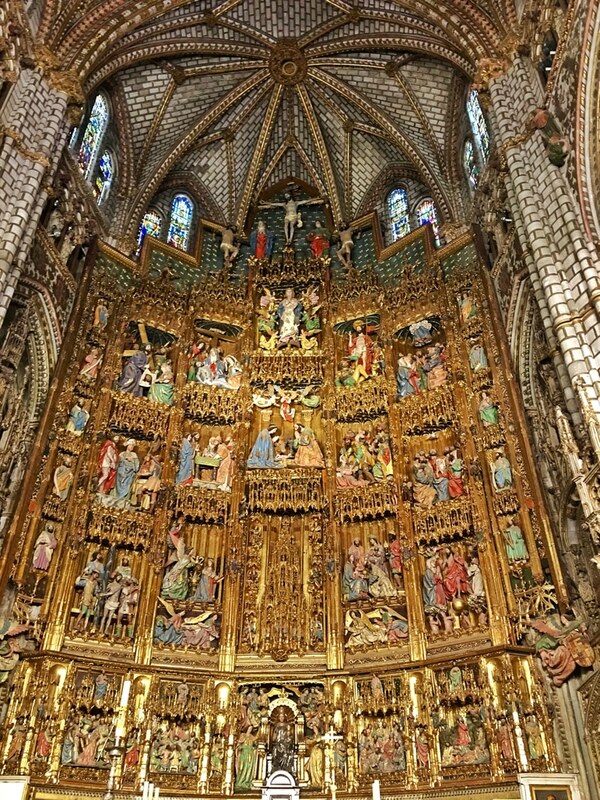 And when Toledo was stripped of the title of capital of Spain, 40,000 of its citizens moved to Madrid leaving behind just 8,000, with 53 churches and 23 monasteries. This combined with its multicultural nature means it has an abundance of well-preserved religious sites. 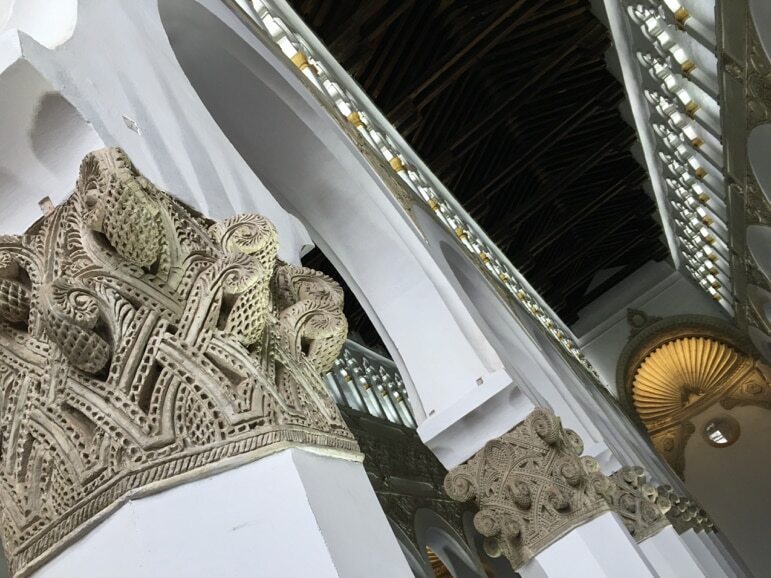 The city has been inhabited by the Romans, Visigoths, Arabs and Jews and evidence of this can be found all over the city in mosques that are now churches and with Stars of David adorning buildings. Today it only adds to the fascination of the city. The borders of its Jewish Quarter are marked with blue and white tiles with menorah and other symbols among the cobblestones. 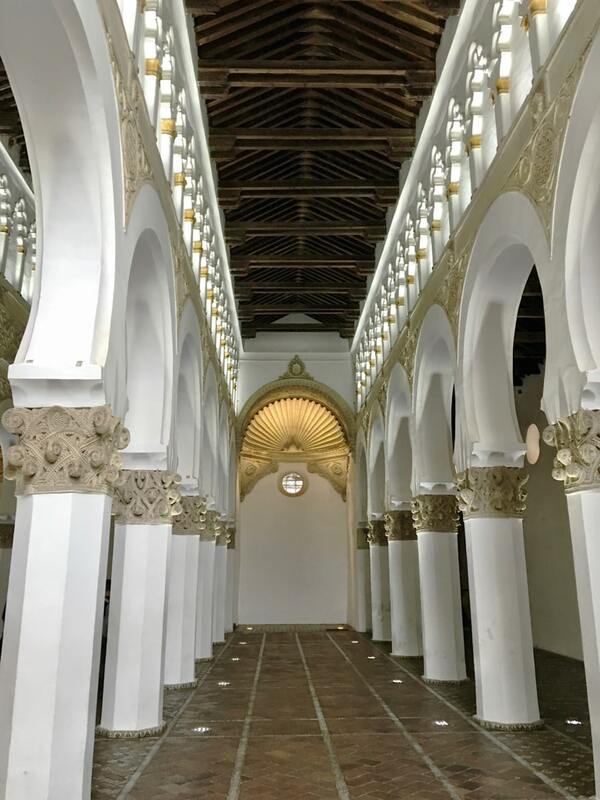 The major highlight of the Jewish Quarter for me though was the synagogue of Santa Maria la Blanca. Built in 1180 it is considered the oldest synagogue in Europe that’s still standing – and has a beautiful peace to it. I was fascinated by its interior – its white archways with decorative stone. It was a place to pause and breathe in just a little of a different culture. 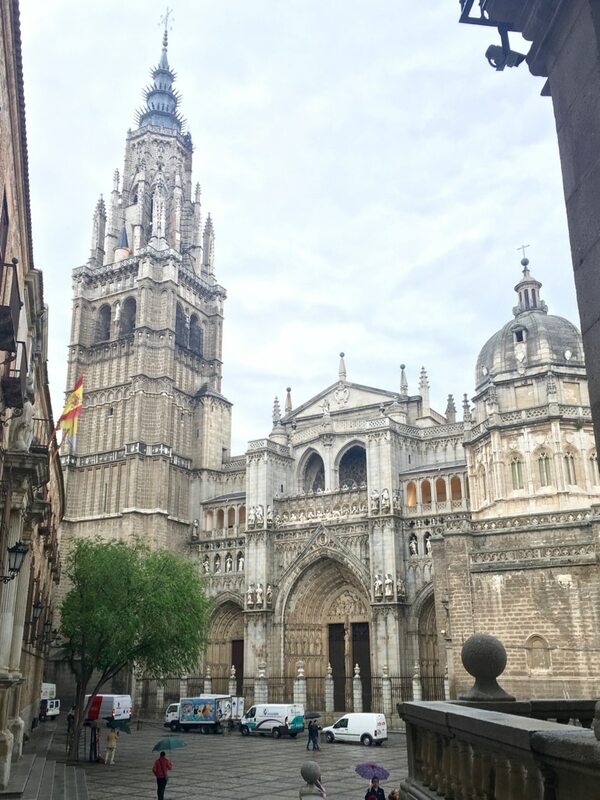 Perhaps Toledo’s major attraction though is its cathedral. It dates back to the 13th century and is one of the most important Gothic structures in Europe with a spectacular golden baroque high altar. 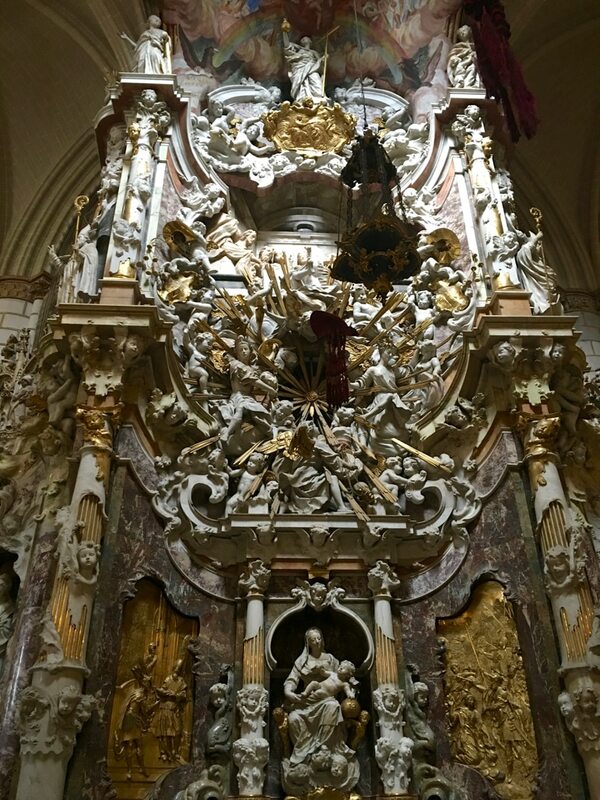 Then there’s the famous El Transparente altar where angels fly heavenwards towards light streaming into the cathedral from a dramatic painted skylight. 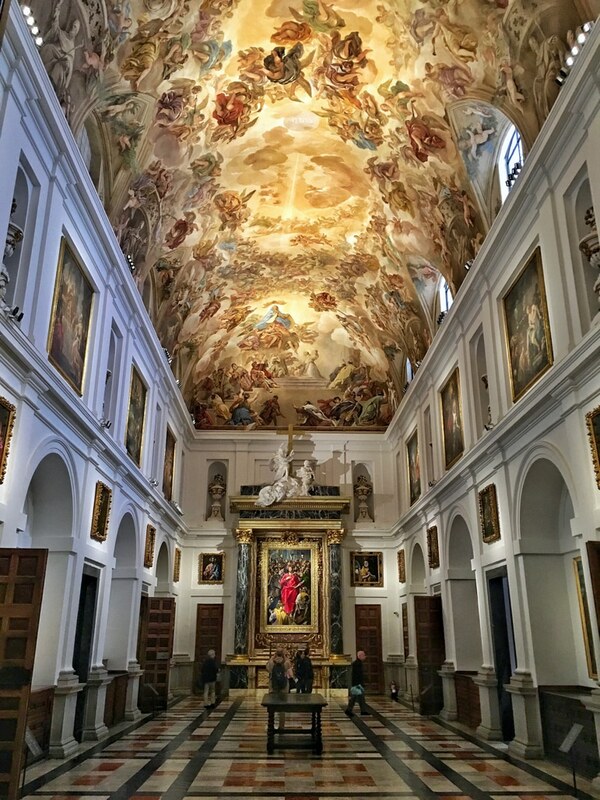 The cathedral is also a museum and art gallery and its Sacristy has a wonderful art collection with paintings by artists El Greco, Goya, Rubens and Rafael. 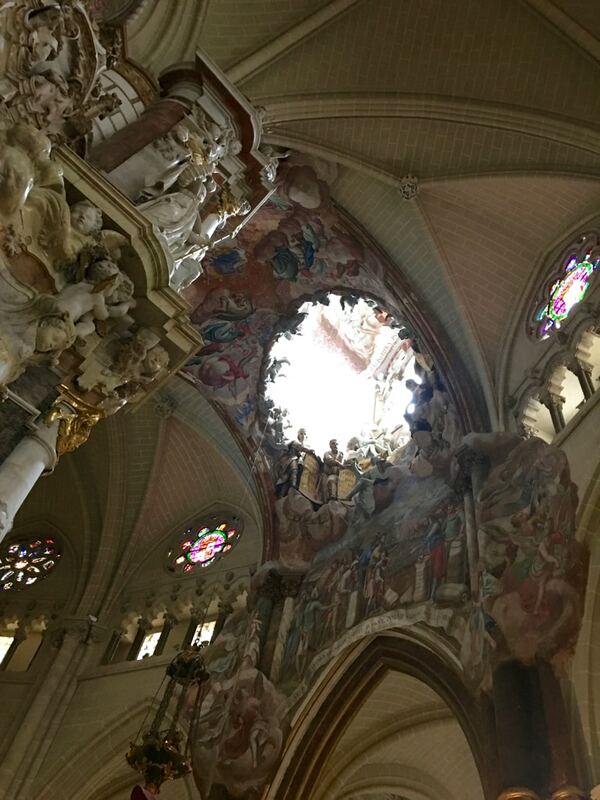 The cathedral isn’t the only place where you’ll find art treasures in Toledo though. 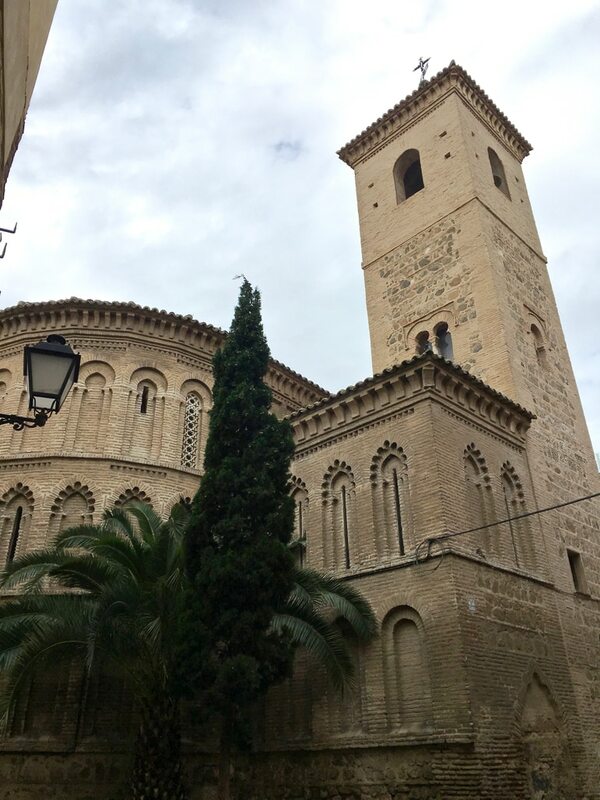 See El Greco’s most famous painting The Burial of the Count of Orgaz nearby at Santo Tomé Church. Beneath its cobblestones, feet underground you’ll unearth many secret corners of the city. The Well of El Salvador was discovered in 1997 and has two arched chambers. 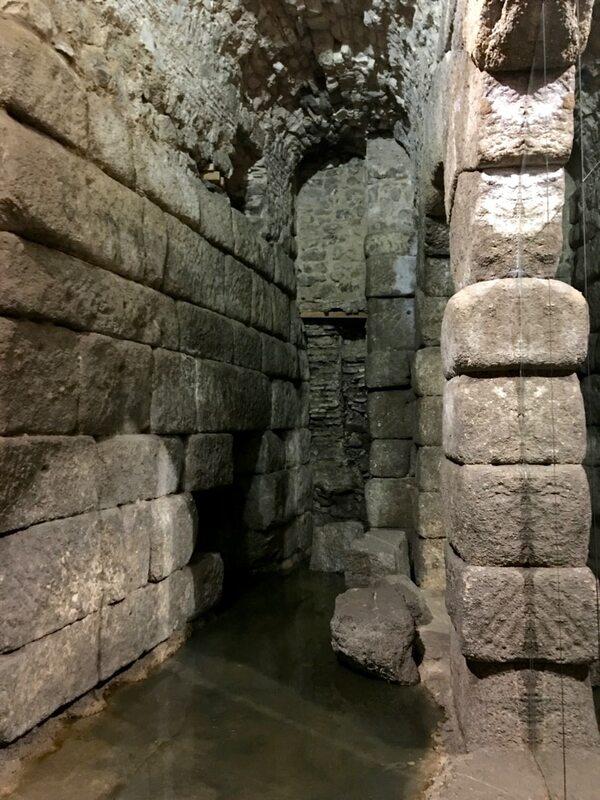 But it’s not the only underground feature in Toledo – there are the 12th-century Baths of the Caballel, and Roman underground vaults known as the Caves of Hercules. Enjoy a creative travel experience as you learn more about one of Toledo’s most popular sweets. Marzipan is a favourite in the area with sweet almondy shapes on sale across the town. But they’re not quite as easy to make as they look. I’d highly recommend a class – we had a very entertaining evening at a studio right above the Cuevas de Hercules (which you can also visit before the class). 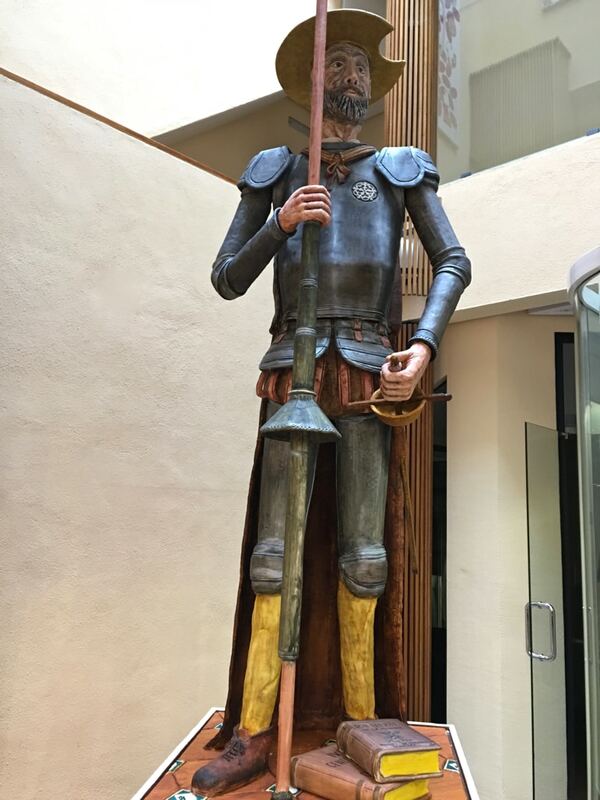 But if you’d rather just eat marzipan without doing the work head to the Mazapanes Santo Tomé shop on Calle Santo Tomé, where they even have a huge marzipan statue of Don Quixote. Speaking of Castilla-La Mancha’s most famous export, you can also take in the region’s most famous story – The Ingenious Gentleman Don Quixote of La Mancha – in Toledo. 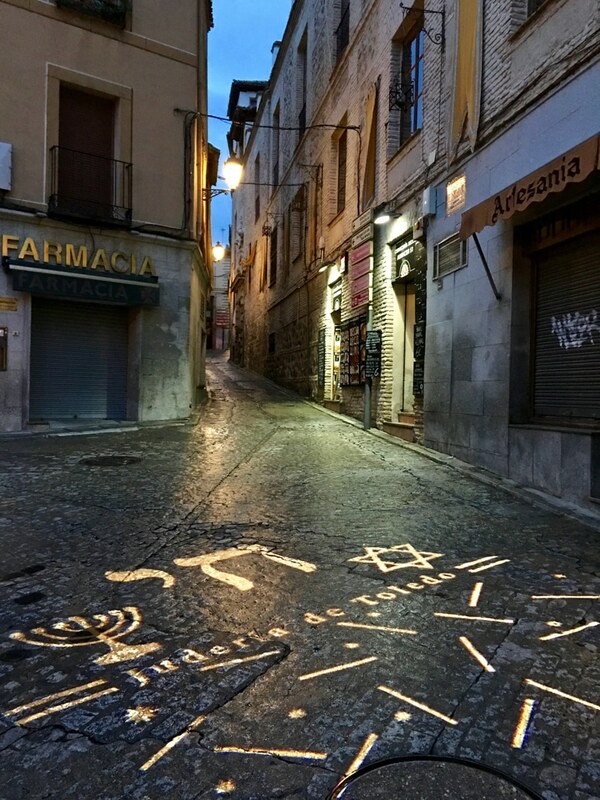 There is a Don Quixote trail around the city highlighting different landmarks that were mentioned in the legendary tale. And with this the 400th anniversary of Cervantes – there’s no better time to learn about the author of the world’s first novel. While the wider region is particularly well-known for its literary and theatrical culture, Toledo is also known for its artisans. The city is famous for the production of ornate knives – perfect for cooks and steak lovers, and also ornate ceramics with Moorish motifs and vivid colours. So leave space in your bag for shopping. Who says you have to leave your adventurous side at home when you take a city break. 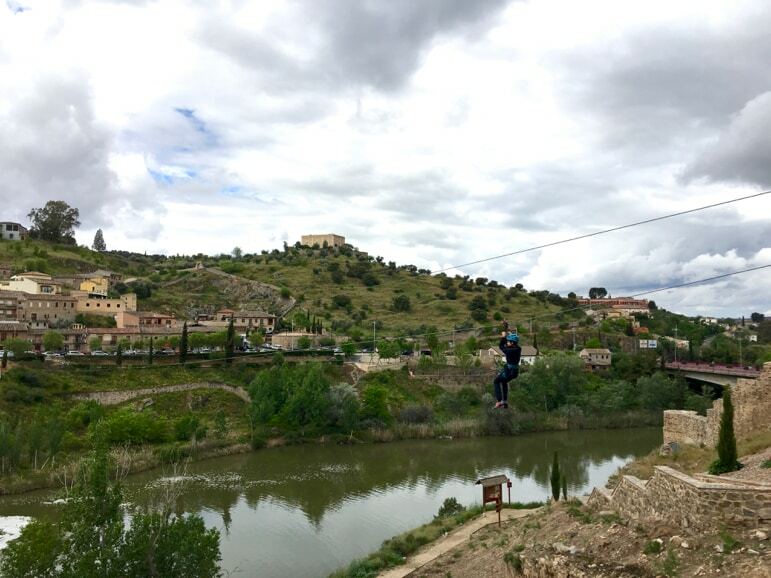 Toledo makes good use of the gaping banks of the Tajo River with a zipline between the two – it’s definitely one of the more adventurous things to do in Toledo. Having a great meal is one of the finest and most easily accessible things to do in Toledo. 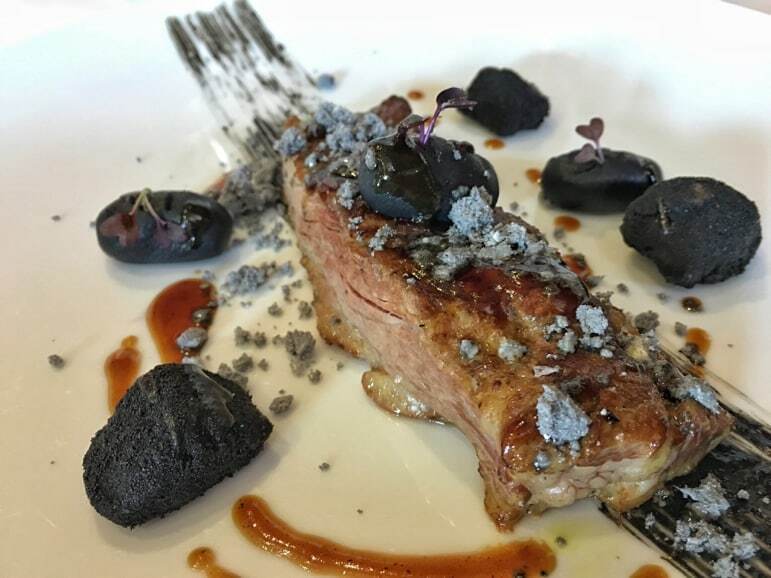 It is Spain’s Capital of Gastronomy in 2016 and it’s no surprise. 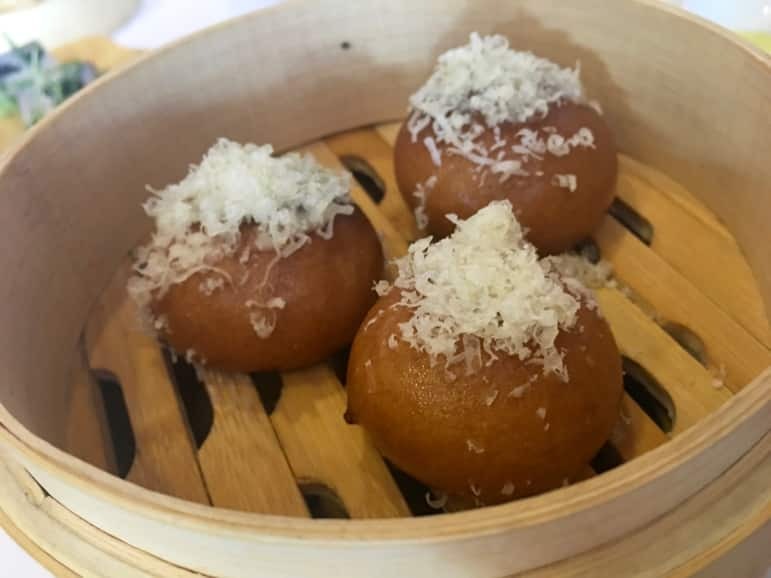 This is no San Sebastian, with a distinct food culture of its own creation. But it does have some of the most creative chefs in the country. What is surprising about Toledo’s restaurants though is what great value they are. 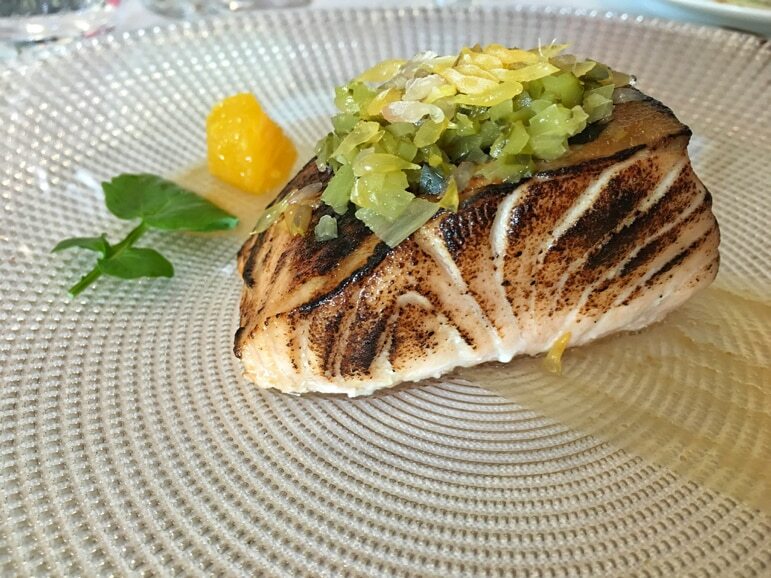 Take for example my favourite, Michelin-starred El Montesion de Carmen ten minutes drive from the city centre. 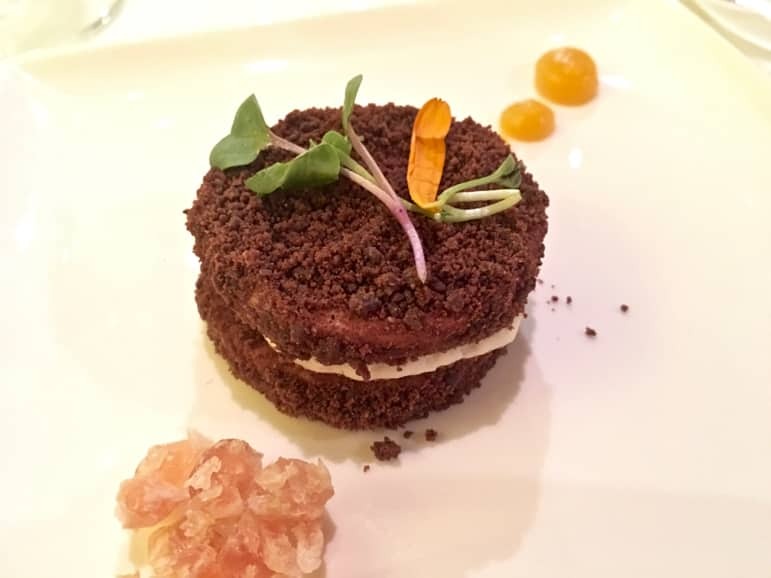 There, chef, Ivan Cerdeño uses local, seasonal ingredients. 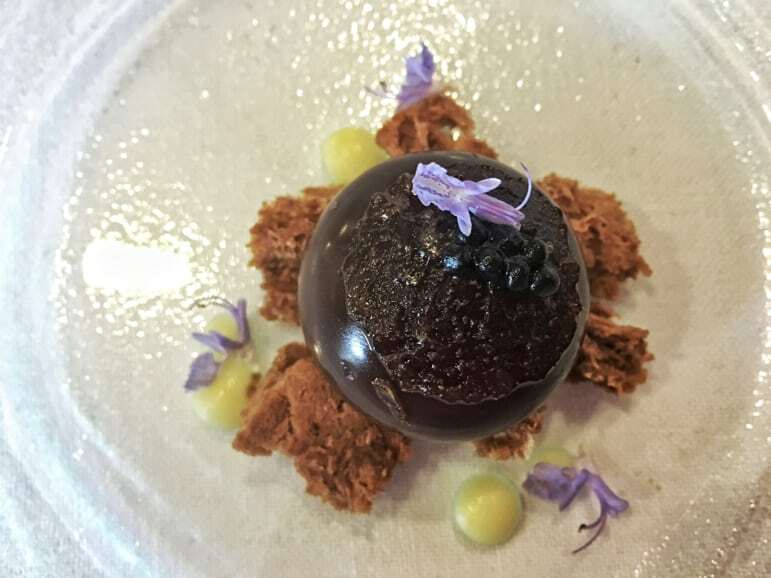 In spring you’ll find peas, asparagus and artichokes, summer brings tomato soup and iced watermelon, while autumn dishes feature mushrooms and winter truffles. 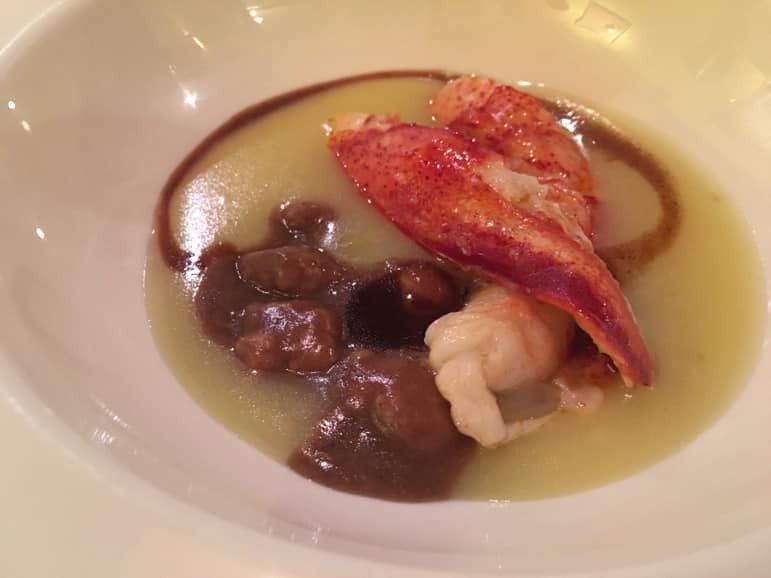 He encapsulates these dishes in eight-course degustation menus for just €43 including wines – unbelievable value. 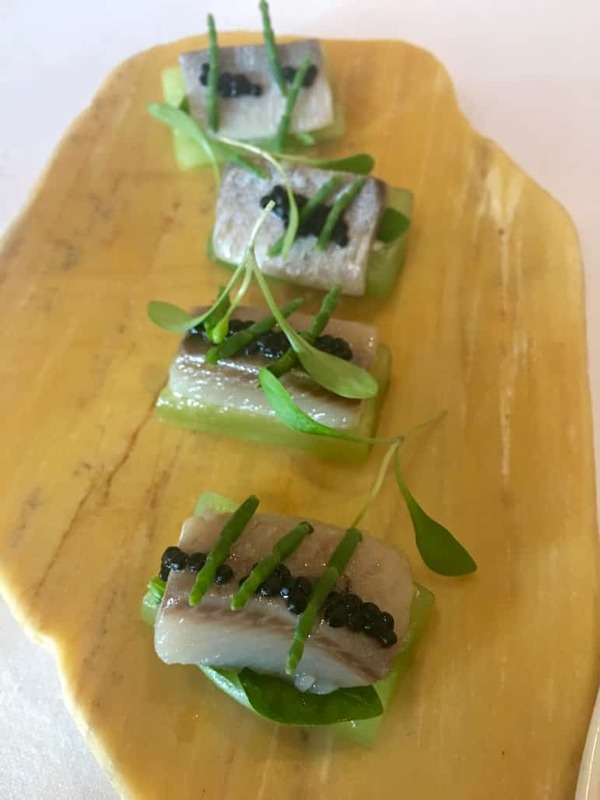 With prime cuts like luscious pluma de Iberica with black gnocchi, roasted salmon with red miso and grapefruit and other creative mouthfuls, I had one of the best lunches I’ve ever experienced there. 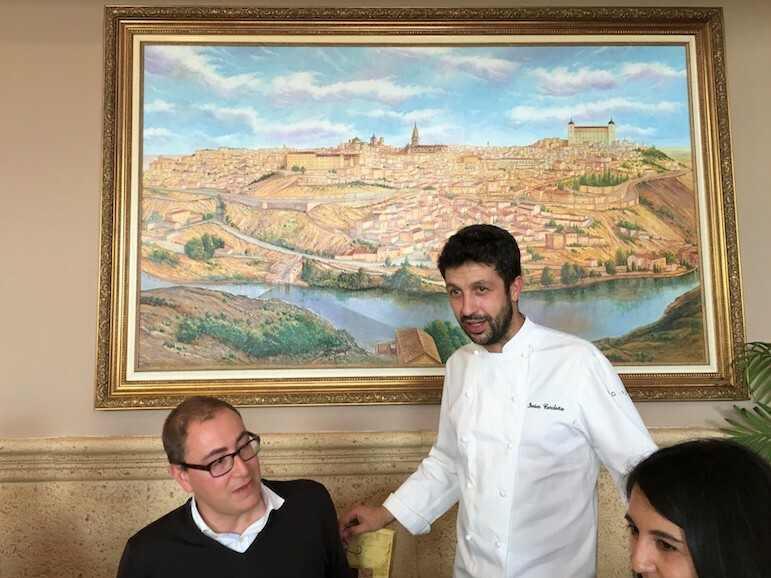 Back in the city, Restaurante Locum near the cathedral, serves food drawing on the history and traditions of Toledo and the region of Castilla La Mancha. 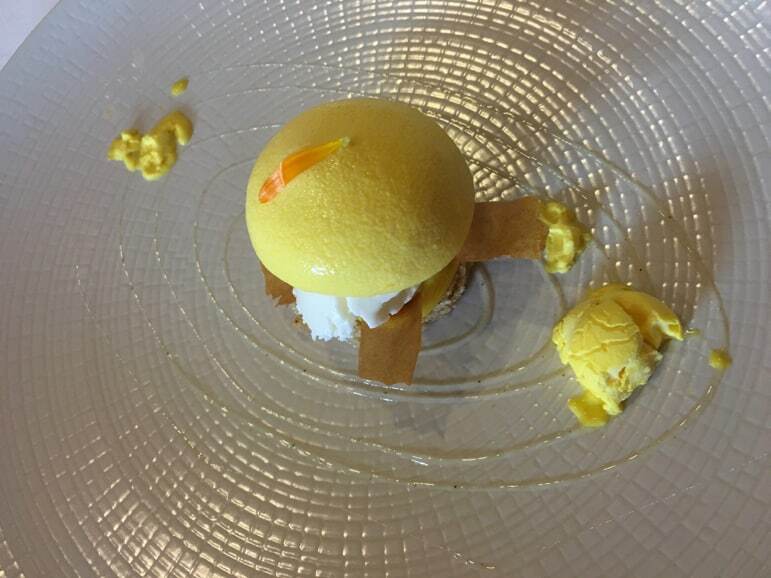 But with a modern twist the food is at once delicious and seriously creative. 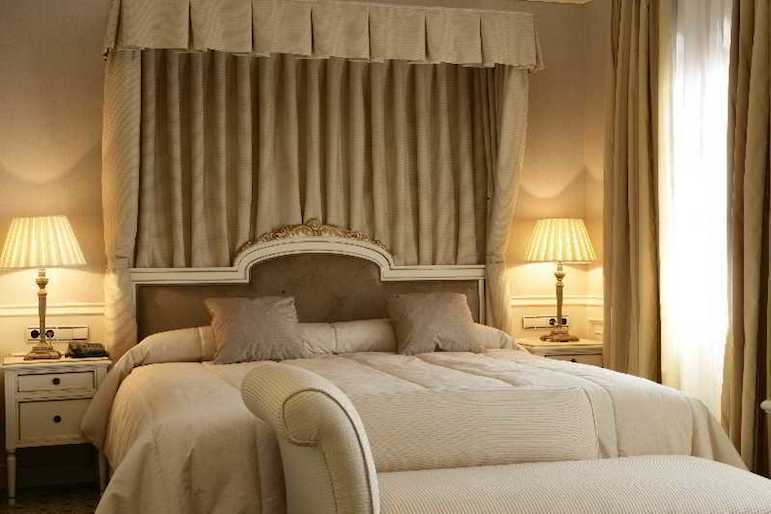 Toledo has great boutique hotels secreted away within the winding streets of its city walls. 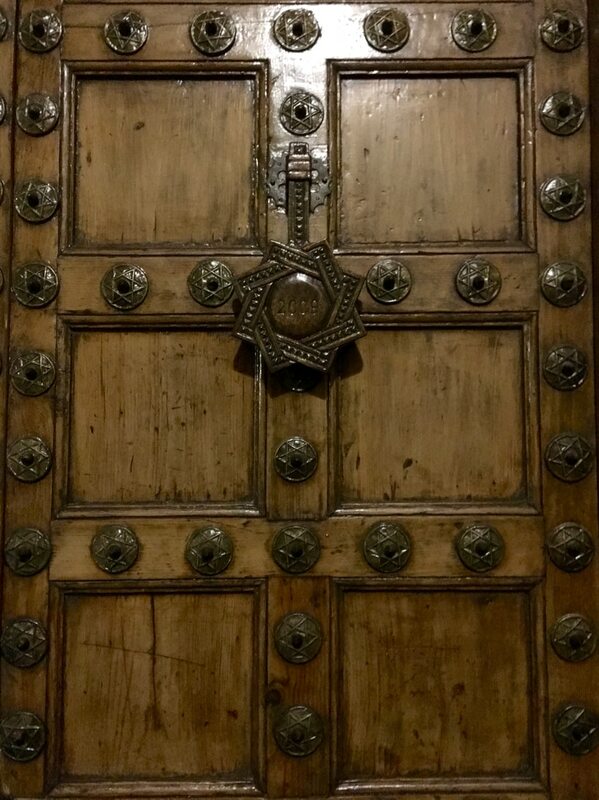 We stayed at Hotel Fontecruz – housed in a hotel that fits nicely with Toledo’s architecture and warmth. Inside there’s a spa and rooms are bright, airy and classically decorated. Chaise lounge anyone? I'm LiveShareTravel's founder and editor, and I've long been passionate about luxury travel and, with a nose for a deal, I've helped many friends book holidays as affordable as they are stylish. As a journalist and travel magazine editor (yes, good old print!) of more years than I like to admit to, and with expert knowledge of shared ownership holidays, starting LiveShareTravel felt like a natural step. I can't live without my smartphone, I love dancing (especially salsa), wine and massages; and I'm never happier than when I'm wandering the world. As an entrepreneur, I'm a regular speaker at travel conferences and events, and co-author of The Luxury Traveller's Handbook.